This is a very nice caravan park with shady sites and clean amenities. There is plenty of room and also privacy, particularly at the end of the park. Good kitchen too, and a great pool and a restaurant. 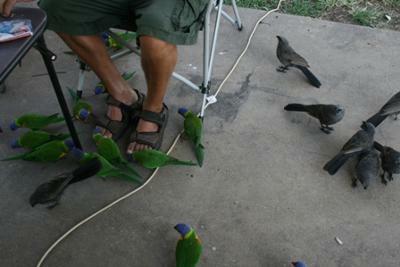 Parrots come along for a feed at dusk. The only thing - staff was not the friendliest.